Check the CMP Venice Night Trail official results and download your certificate! Enter now on getpica.com, add your Pica Code that you will find on your bib number and download your Marathonfoto! The 4th CMP Venice Night Trail video! Thank you all, it was a magic night! Thank you for running with us! Great success for the night trail that took place last night in Venice, organized by Venicemarathon, which applauded 3265 finishers. Discover the CMP official merchandising! 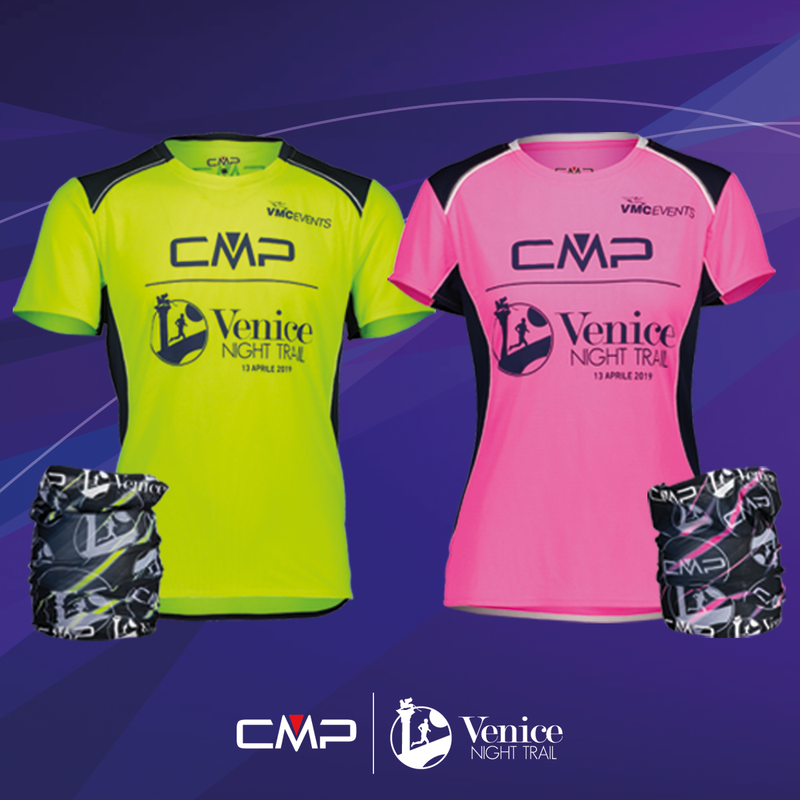 The official merchandising of the 4th edition of CMP Venice Night Trail is online! The CMP Venice Night Trail T-shirts are waiting for you! The Dry function technology and the breathable fabric ensure comfort also at high performances. Discover them in the goody bag!